In its 350-page O-S-D Report—A Market Analysis and Forecast for Optoelectronics, Sensors/Actuators, and Discretes, IC Insights provides outlook guidance for sensors and other semiconductor-based technologies. 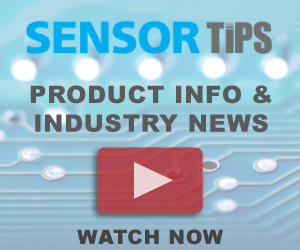 Sensors are specifically projected to have single-digit declines in sales, however, CMOS image sensors are expected to have double-digit growth. The market analyst expects growth in the sensor/actuator market segment to slightly strengthen in 2016 with revenues projected to rise 4% to $10.5 billion after increasing just 2% in 2015 to $10.1 billion due to significant price erosion in many sensor product categories. In contrast, he expects increasing demand for CMOS image sensors in a wide range of embedded applications including automotive, medical, video-surveillance networks, and image recognition systems.